The announcement was made by the group of lawmakers after they visited Erdem at the Silivri Prison, in one of Istanbul’s suburban districts where Erdem is being kept. Erdem is a former CHP deputy. He has been on hunger strike since January 29 and is in prison on terrorism charges, imprisoned since June 28. Muharrem Ince, CHP’s presidential candidate in the June 2018 elections told reporters on the steps of the prison they reminded Erdem he is a father and as such, has a responsibility to his children. On Tuesday, CHP leader Kemal Kılıçdaroğlu called on Erdem during his speech in parliament to end the hunger strike. “This is the decision taken by caucus,” he said. 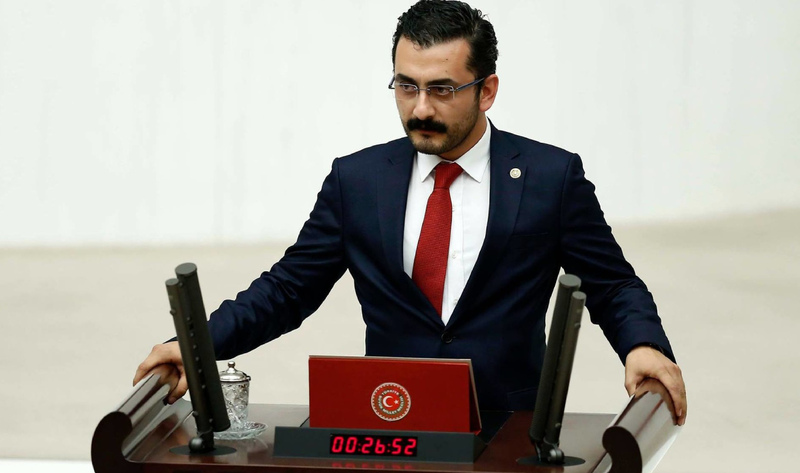 Erdem was arrested following the presidential and general elections in June 2018 after he lost his parliamentarian impunity as he did not run in the elections. He is being accused of helping the Gulen Movement, a network Ankara regards as a terrorist organization. The Istanbul 23rd high criminal court decided a supervised release for Erdem, a former MP and Editor-in-Chief of Karşı Daily, which was closed under the emergency rules after the failed coup attempt in July 2016, with a travel ban to abroad on January 7. However, his release verdict was appealed, and an upper court issued an arrest warrant for him. Based on this, he could not leave the courtroom and incarcerated again.